Book Review - "Overall it is an excellent read, like really it plays like an actual RPG game." They thought it was a video game, now they are fighting to survive inside the game. Xaizden is the Dark Lord who rules over Fellowdonia in the fantasy video game Graven Vengeance. A small rebel group called the Graven Clan are battling to overturn Xaizden and return their world to the beautiful place it was before Xaizden became so powerful. The Graven clan live in the shadows of the land to stay undetected by Xaizden’s mutated Zylek warriors. Many battles have taken place over the years between these warriors, two of the Graven Clan have decided to use a Quantum teleportation machine called QTM-X8 in an attempt to teleport gamers from the real world into Fellowdonia to help them fight. 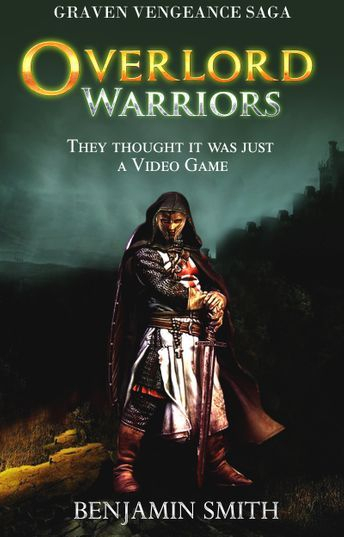 They have chosen the elite gamers they call the Overlord Warriors who have slain many Zyleks during battles in the video game to join them. If Xaizden finds the QTM-X8 machine he will use it to teleport his armies back into the real world, so that he can rule the earth. Fabian and Leiden are ready to launch the QTM-X8 for the first time to get help from the Overlord Warriors. Great story! I love the writer's style and description. Though it's not my kind of genre, I actually enjoying reading the book and thought it was interesting. I thought the plot was strong and and had good flow. The characters were great and likable. All in all, worth your money! Great book based on a video game world. People say that writing a book based on a video game is risky because video games are much different than books. I'm a fan of reading such works, which led me to this book. Overall it is an excellent read, like really it plays like an actual RPG game. Although I prefer SciFi shootem up's, I do like RPGs on occasion. The characters are well developed and I live the idea if being sucked into a virtual world, which is similar to my first novel. Only knock I have to make is the ending was a bit too predictable for me, which did disappoint me just a little. However, the events leading up to it are well-written. I look forward to Ben's next book!